Normally, blown fuses indicate that there is a problem with the internal circuit of the switching power supply. 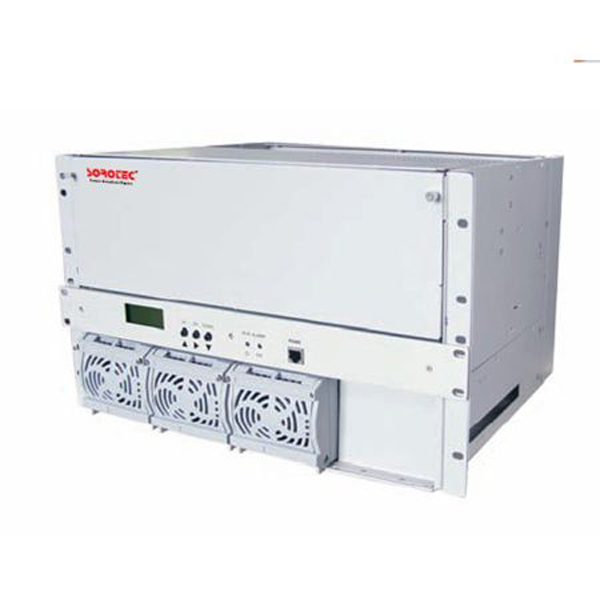 Because the power supply works in the state of high voltage and high current, the fluctuation and surge of the grid voltage will cause the instantaneous increase of the current in the power supply and cause the blown to fuse. Emphasis should be placed on checking rectifier diodes, high voltage filter electrolytic capacitors, inverted power switches, etc. at the input end of the power supply, and checking whether the components have breakdown, open circuit, damage, etc. If the blown is indeed fused, we should first look at the various components on the circuit board to see whether the appearance of these components has been burned, whether there is an electrolyte overflow, if the above are not found, then use a multimeter to measure the breakdown short circuit of the switch tube. Special attention should be paid to the fact that when a component is found to be damaged, it must not be replaced and turned on directly. It is very likely that the replaced component will be damaged because other high-voltage components are still malfunctioning. It is necessary to thoroughly check and measure all the high-voltage components of the above circuit before the blown fuse can be completely eliminated. If the fuse is perfect, there is no output of DC voltage at all levels under load. This situation is mainly caused by the following reasons: open-circuit and short-circuit phenomena in power supply, over-voltage and over-current protection circuit failure, auxiliary power supply failure, oscillation circuit not working, power supply overload, breakdown of rectifier diode in high frequency rectifier filter circuit, leakage of filter capacitor, etc. After eliminating the breakdown of high frequency rectifier diode and short circuit of load by measuring secondary components with multimeter, if the output is zero at this time, it is sure that the control circuit of power supply is out of order. If a part of the voltage output indicates that the front circuit works normally, the fault occurs in the high frequency rectifier filter circuit. The high frequency filter circuit mainly consists of rectifier diode and low voltage filter capacitor. Among them, the breakdown of rectifier diode will make the circuit without voltage output, and the leakage of filter capacitor will cause output voltage instability and other faults. The damaged components can be detected by static measurement of the corresponding components with a multimeter. Poor load capacity of power supply is a common fault, which usually occurs in old-fashioned or long-time power supply. The main reason is the aging of components, unstable work of switch tube, lack of timely heat dissipation and so on. It should focus on checking whether the regulator diode is heating and leakage, rectifier diode damage, high voltage filter capacitor damage, etc. 1.Constructed with standard 19 inch screen, which has the advantage of wide use. 2.The data center area and the installation cost can be saved due to its small size and the embedded installation. 3.Wide input voltage range (85-290Vac), the power grid is adaptable. 5.Rectifiers are hot-pluggable. Easy and quick on line maintenance. 6.The rectifier uses DSP (Digital Signaling Processor) ology, makes the power density ran up to 14W/In3. 7.Battery management, prolongs the life of the battery well. 8.Have passed CE, UL, TLC, and other related certifications. 9.Excellent energy conservation and environmental protection.